*A bug exists where brown mushrooms reset the light level of the tile they are on to exactly level 1, even if the tile is meant to be brighter by other means. In other words, their presence can reduce an otherwise brighter tile’s light level. 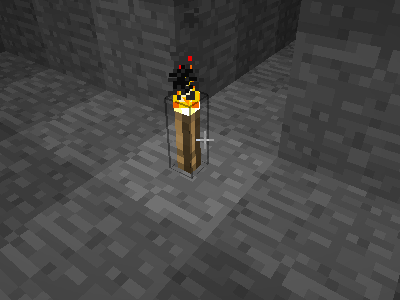 This problem has also appeared for redstone torches. § 2 Responses to Light マインクラフト世界の光"
Become a CODE WIZARD in just 60 minutes! Bring Minecraft into your world with Mine Chest! Copyright © minecraft.ologies.net 2010 All Rights Reserved.